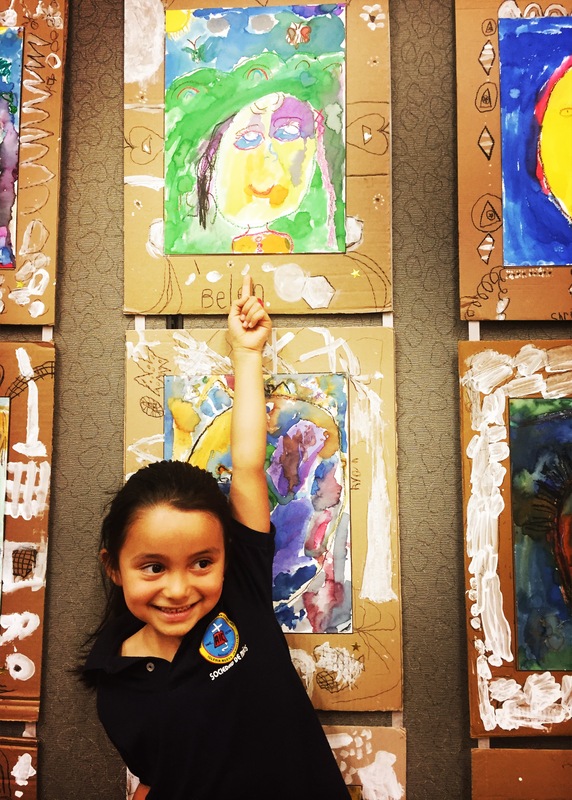 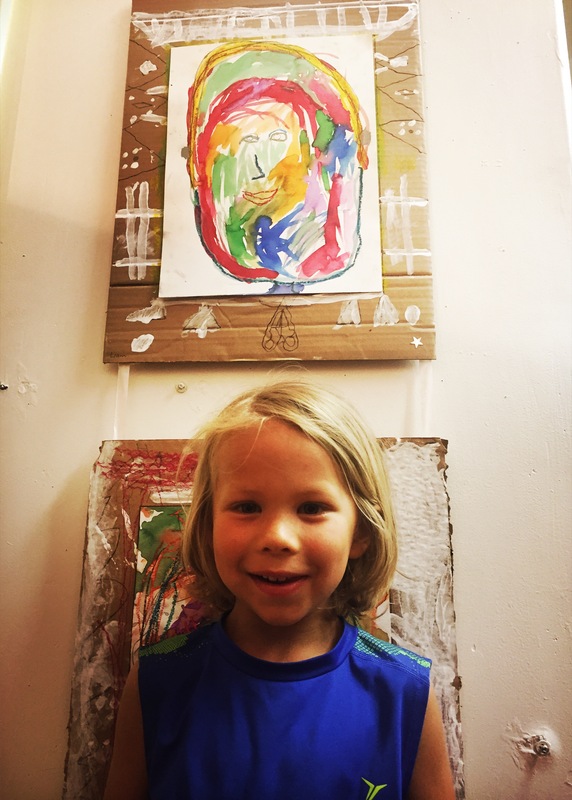 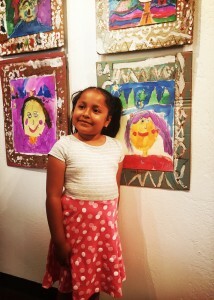 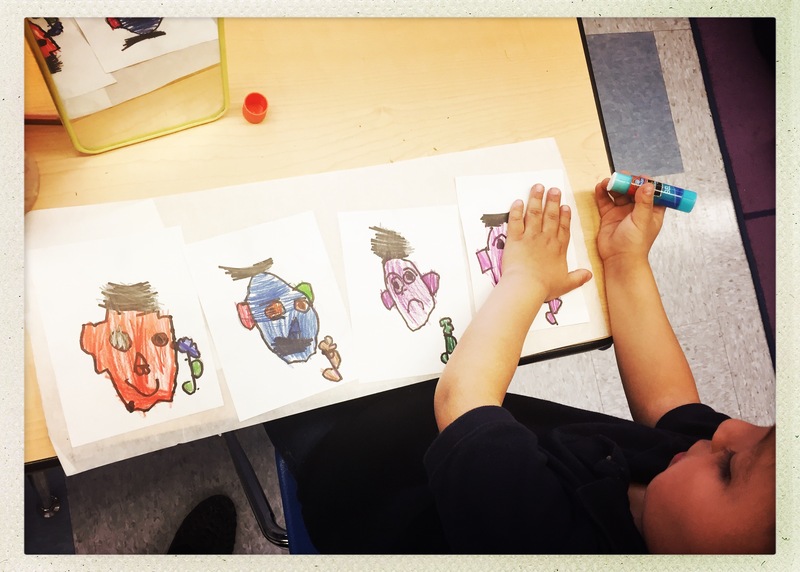 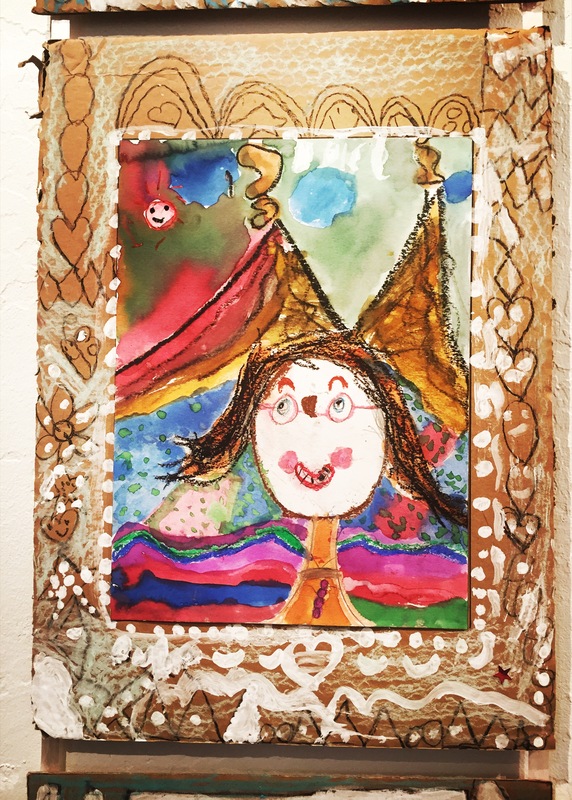 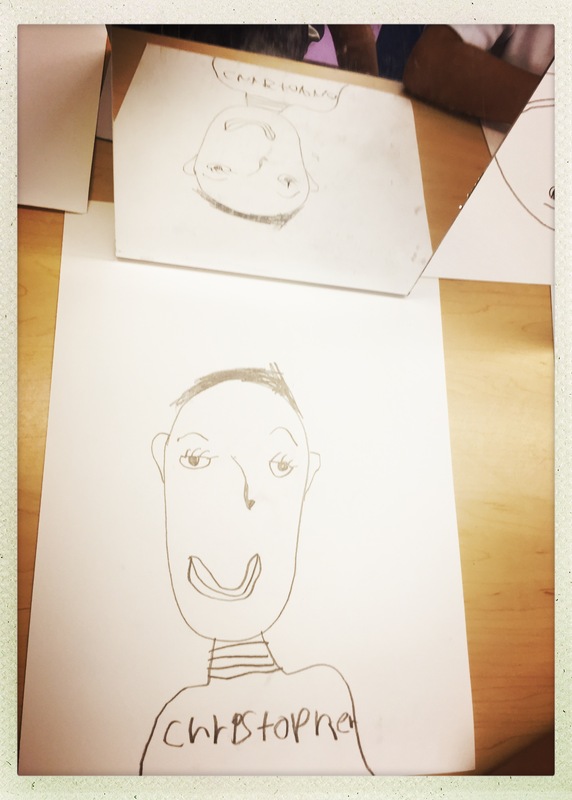 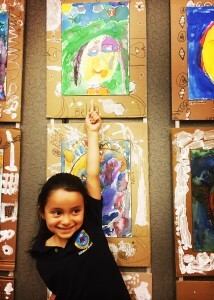 As the culmination of a 12-week program, K and TK students at Venetia Valley Elementary integrated their newly acquired techniques as visual artists through the creation of unique and expressive self-portraits. 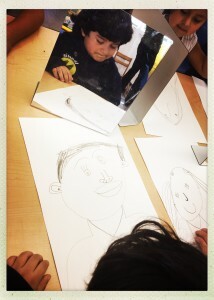 To prepare for this final project, students completed a number of activities exploring line, shape, color and pattern. Then it was time to explore emotion. Students were given mirrors and are asked to draw four quick sketches of their own faces with different emotions: happy, sad, surprised and angry. We discussed how the lines of the mouth, eyes and eyebrows changed with each emotional expression. 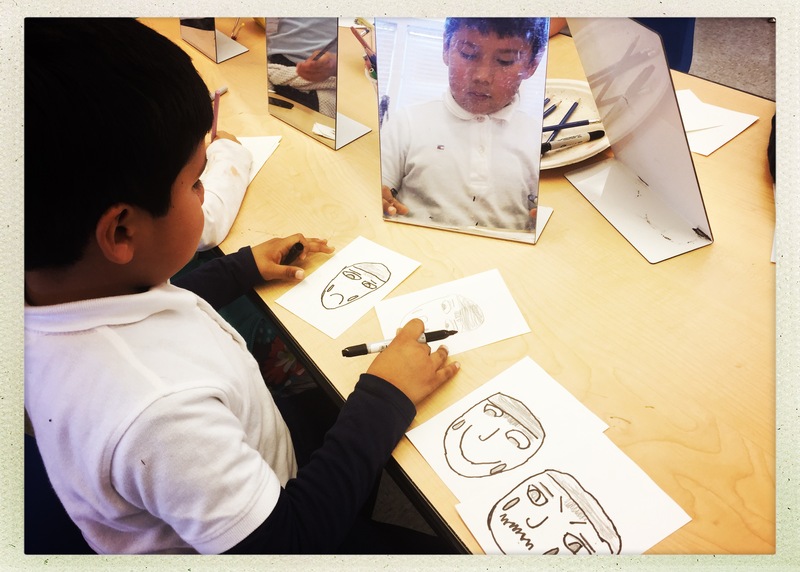 Ready to embark upon their final portraits, students began with a pencil drawing using the mirrors and the emotional expression of their choosing. 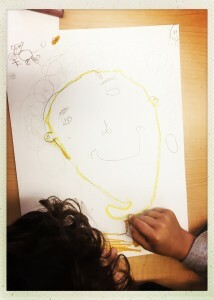 The next step was to trace their lines with oil pastels, then bring their portraits to life using vibrant watercolors. 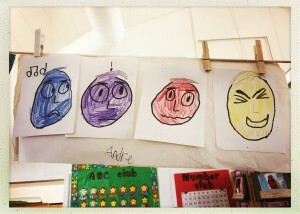 Students were encouraged to use colors to further convey emotions. 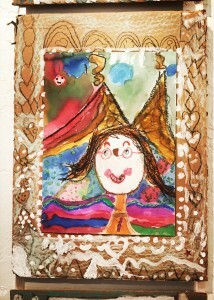 The final works were astoundingly unique portraits that captured the students’ sense of pride, courage and creative identity. 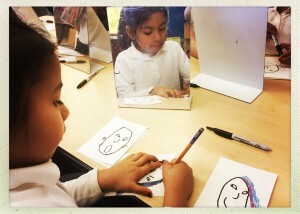 Learning to identify and communicate emotions is no small task, no matter how old we are. 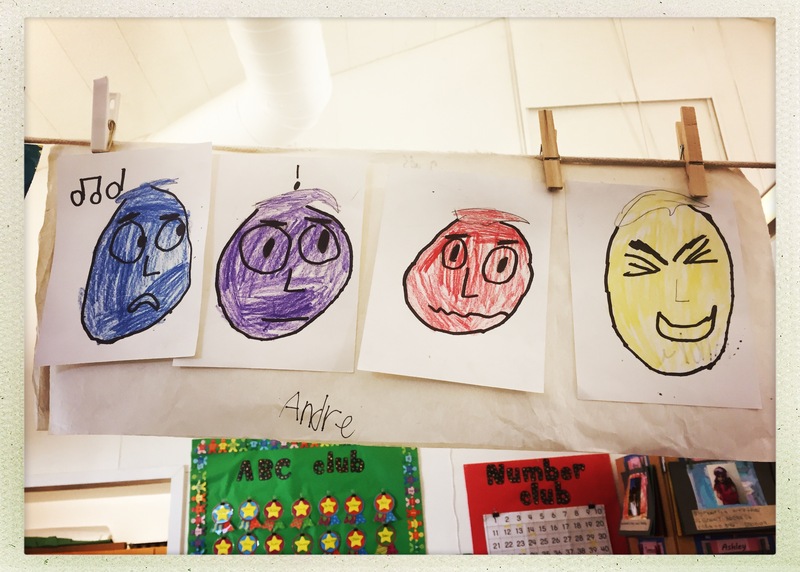 In addition, when it comes to emotions, words often fall short. 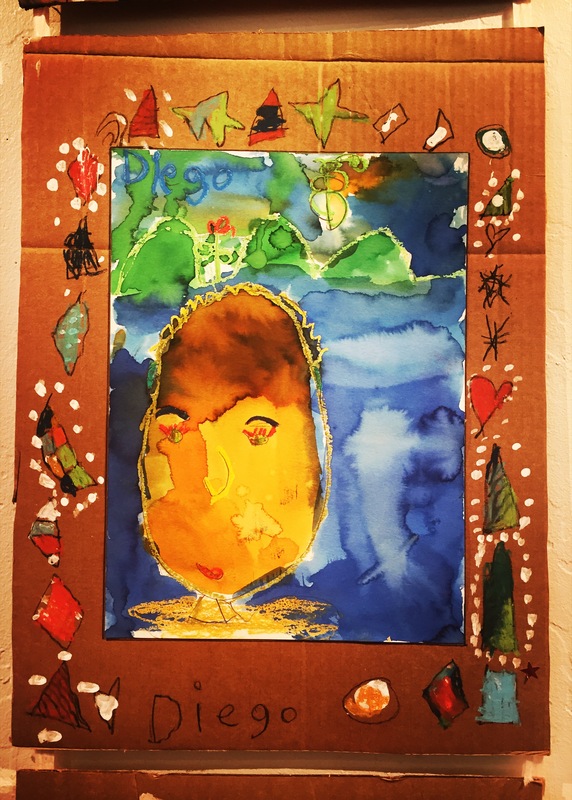 For children in the early stages of developing an awareness of their emotions and relational skills, creative outlets enable students new ways of understanding and expressing themselves and those around them. We all know that emotions give rise to wonderful art, yet what I learned from the young artists at Venetia Valley, is that the art we create can actually teach us about our emotions. 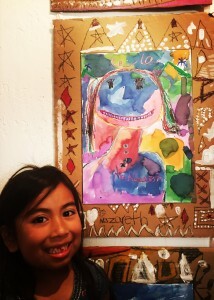 Thank you to the Walker Rezaian Creative HeArts Fund and to our Youth in Arts donors for supporting this program.